Are you ready to #GetHyped? HypeFest is just around the corner! Come out and help us celebrate our five year anniversary as an agency with live performances from our favorite upcoming artists. Hypefest will be held June 16th from 12 p.m. to 2 a.m. at The Rustic in Dallas! Don't forget to take a look at our HypeFest Diary to learn more about the artists performing at the event! Meet this pop-loving indie-acoustic duo set to hit the stage at this years HypeFest. D and Chi plan on taking HypeFest by storm with new music and the announcement of their second album in the works! D and Chi are seen performing as either a full band or acoustic duo. 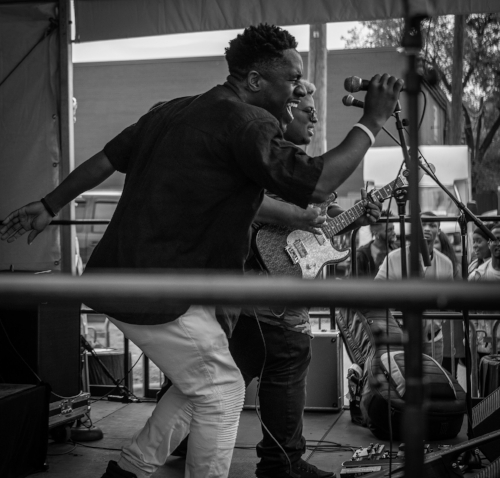 The two got started in the Bishop Arts District, where they learned to entertain and became part of a community that inspired their work, encouraging them to form a band. D and Chi were inspired to write music that carried substance; they want to produce music that tells a story. Growing up, each member of D and Chi had different musical influences. This has helped them branch out and take creative risks in the Indie Pop scene. D and Chi understand how risky the music industry can be, but they don’t let it stop them. Instead, they allowed it to inspire them. #GetHyped and don’t miss this indie-pop duo grace the stage at this year's HypeFest at The Rustic June 16th starting at 12 p.m.
For more information on D and Chi, check out their website here: http://www.dandchimusic.com/ Learn more about the event and artists performing at Hypefest on our Facebook event page & RSVP to save your spot!